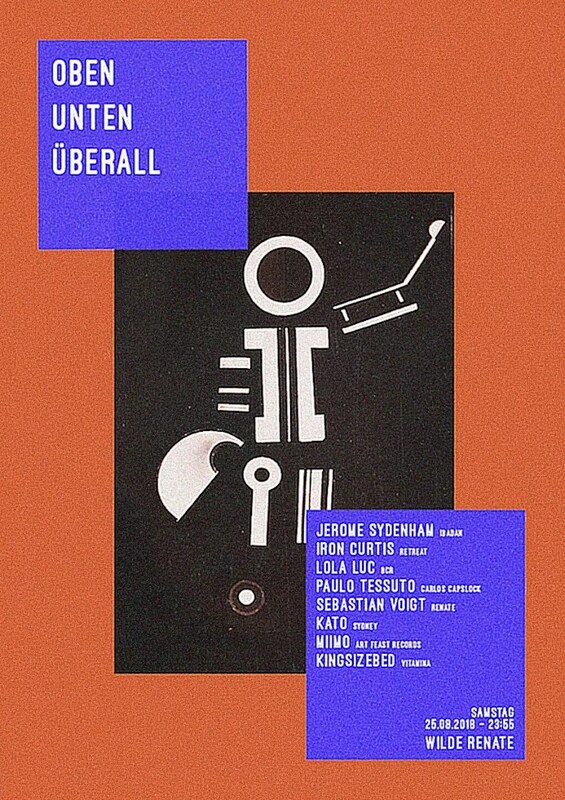 This event "Oben Unten Überall /w. Jerome Sydenham, Iron Curtis, Lola Luc & More" @ Salon - Zur wilden Renate has already ended on 08/25/2018. Here you can find upcoming events for this location! Lose yourself to the sounds of Jerome Sydenham and Iron Curtis in one of Berlin's most hedonistic clubs.